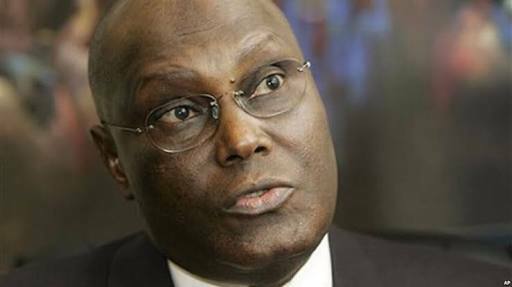 Speaking while addressing supporters of the Peoples Democratic Party (PDP) at the Ebonyi state secretariat of the party in Abakaliki on Tuesday, former Vice President, Atiku Abubakar, described the present federal government of President Muhamadu Buhari as the most corrupt since the return of democracy to Nigeria in 1999. His words; "Let nobody come and deceive you on corruption. They are more corrupt than any government that I know since 1999 and we shall be revealing their level of corruption. Fighting corruption alone is not the only responsibility of government. “Our unemployment has accelerated high and there has never been a time we had more than 11million people, young people, young men and women thrown out of job. Today, we have more than 11 million unemployed people. Today, we have witnessed much insecurity in this country. Today, we are witnessing high inflation the APC government has brought to us in this country. "...40 political parties came together to meet themselves to present one candidate for presidential election. The coalition is going to have one candidate for presidential election, one candidate for governor, one candidate for senator, one candidate for House of Reps, one candidate for House of Assembly, one candidate for party chairman. “I want to assure you that your party is ready to take that power but we can only do so through your support and your unity of purpose. You are our bosses, if you tell us to go right we will go, if you tell us to go left we will go; but at the end of the day you must accept responsibility if you take us to the wrong direction."